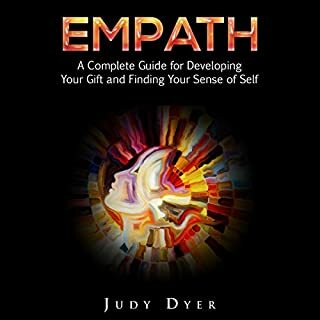 Empath: The Most Effective Empath Healing and Empath Survival Guide in Today’s World for Highly Sensitive People to Protect Yourself and Enjoy Life. Empath Rising! 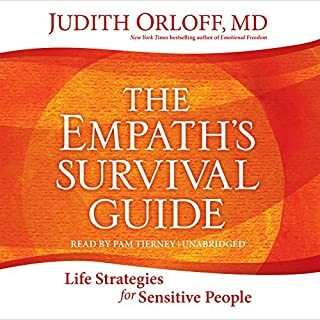 This audiobook is made for empaths, those people who feel the weight of our emotions and pain. This audiobook will help you to understand who you are, why you are, and how to deal with the symptoms you feel. 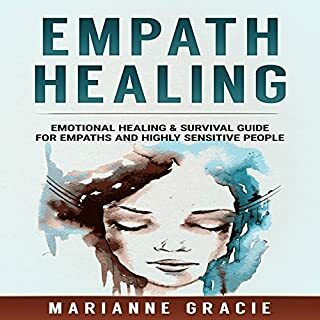 The Most Effective Empath Healing and Empath Survival Guide gives insight into a spectrum of empaths and helps empaths discover where they fall in that spectrum. Are you struggling with setting boundaries...or do you feel as though everyone around you is taking advantage of your gifts? Are you buried under limiting beliefs at work or at home? Setting Boundaries: Learn When to Say Yes and No teaches you every step, including a plan for finally learning to set boundaries and release your powers. This is a book of action and doesn’t just tell you to manage your life. Life rewards those who take matters into their own hands, and this book is where to start. Due to the inherent sensitivity of the empath's nature, we are naturally wired up to feel stronger connections to the people in our lives and our environments. 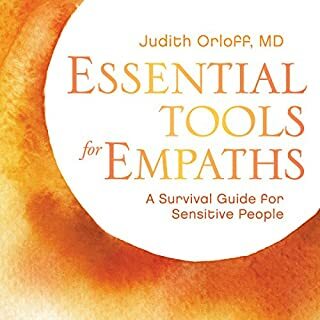 However, due to dysfunctional programming and society at large, we empaths lose touch with our empathic gifts and instead go through life struggling and getting bogged down by the energy of others. Empaths take on negative energy which is dumped onto them that they don't desire or need. This book will teach the listener exactly how to combat this while learning how to protect one's energy. Are you highly intuitive and want to learn how to sharpen your skills...or do you feel as though you aren't using your natural abilities? Are you buried under limiting beliefs at work or home? Do you feel stagnant, stuck in a rut, and surrounded by emotional vampires? Are you terrified of wasting your life without unlocking your natural intuitive ability? If you keep doing what you’ve always done, you’ll never learn to heal yourself and the world around you. Is this positive for you? Highly Intuitive People: The Ultimate Guide For Mastering Your Gift teaches you every step, including a plan for finally learning to release your powers. Have you ever wondered how you can turn your sensitive personality into a valuable gift? Have you struggled with soaking up the emotions of other people to your own detriment? In this audiobook, you will learn theories about empaths, signs of being an empath, challenges and solutions, and techniques for clearing negativity. You will also learn about the chakra system and how it relates to your empath abilities, tips for managing your emotions, and how to control your abilities. Feeling Too Much is full of real-life examples of using your special gifts for good for people just like you as well as proven techniques of that have worked for other gifted people. These methods are backed up by life-changing experiences, all which will arm you with a mindset primed for success with powerful and concrete boundary setting techniques. Are you an empath with high levels of stress, or do you feel as though you are under a cloud? Are you buried under limiting beliefs at work or home? Do you feel stagnant, stuck in a rut, and ready for a change? Are you terrified of ending up old, having wasted years of your life with over-sensitivity? If you keep doing what you've always done, you'll never break free and fully use your empathic abilities. 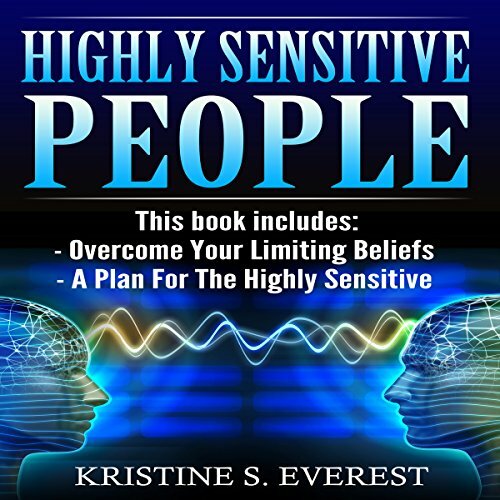 Empath: Overcome Your Limiting Beliefs, A Plan for the Highly Sensitive teaches you every step, including an action plan for destroying stress at the roots. This is an audiobook of action, and doesn't just tell you to try harder. Life rewards those who take matters into their own hands, and this audiobook is where to start. What happens if you ignore your empathic gifts? Learn where these beliefs came from. How will you learn to be free from out of control emotions? What happens when you don't let life pass you by? Good info, but read too fast. The material was very very interesting. What was disturbing was that it was read too quickly and you had to really focus to catch what was being said. I tried playing it at .75 rate and it was way too slow. This is the first time I’ve run into issues with speed. The book was an easy listen, applying logical solutions and practical advice for those of us who are more sensitive and tuned in to the world around us. I think stress is something which needs to be addressed soon and help ourselves move forward and this book helps us in that. I would highly recommend this book. I loved the book set. I got the book as my friend suggested about it. I think the author has written the book very precisely knowing the facts and knowledge about the subject. I loved the book set. I got the book as my friend suggested about it. I think the author has written the book very precisely knowing about the facts and knowledge about the subject. I think stress is something which needs to be addressed soon and help ourselves move forward and this book helps us in that. i would highly recommend this book. All the information and tips are very informative, useful and well explained. 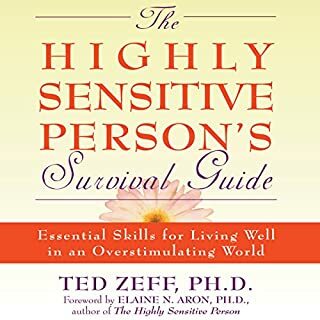 This book is really a great resource for those who want to learn more about Highly Sensitive People. 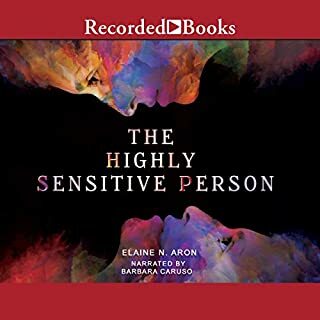 This is a great book on Highly Sensitive People. Enjoyed the book. however it did repeated a lot though. i found parts hard to absorb and wasn't to keen on the narrators voice. but i hope to learn from it.